New Orders and News! 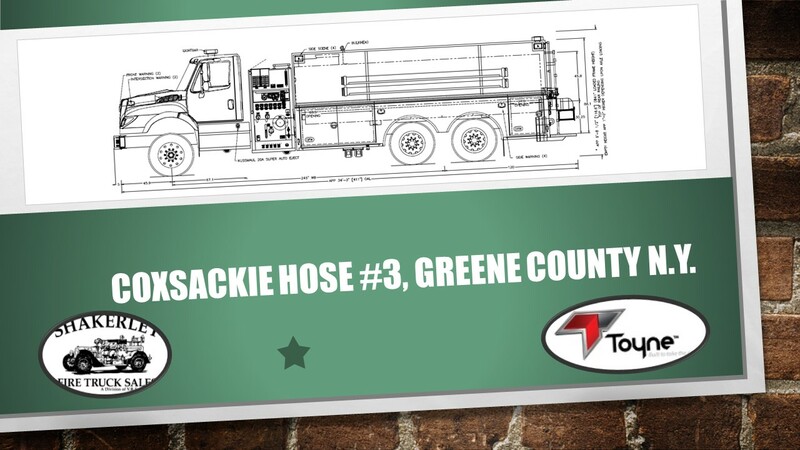 - Shakerley Firetruck Sales / VRS Sales Ltd.
We would like to thank Coxsackie Hose #3 for their order of One (1) Toyne Commercial Pumper Tanker. The unit will be built on an International HV series chassis equipped with a 450HP Cummins motor, 1000 GPM Hale MBP series pump, 3000 gallon UPF tank, 10" Newton swivel dump, Zico drop down porta-tank rack, Akron Revel LED scene lights and a Toyne Stainless Steel body. Unit was sold by our Greene County Salesman Rodney Pulver. 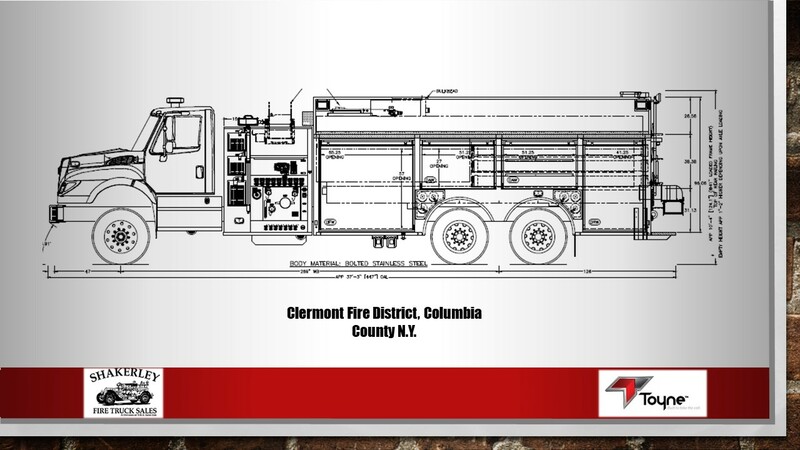 We would like to thank the Clermont Fire District for their order of One (1) Toyne Commercial Pumper Tanker. The unit will be built on an International HV series chassis equipped with a 450HP Cummins motor, Hendrickson Air Ride rear suspension, 1500 GPM Waterous CSU pump, 3000 gallon UPF tank, 10" Newton swivel dump, Zico drop down porta-tank rack, and a Command Light SL422 12v LED light tower. 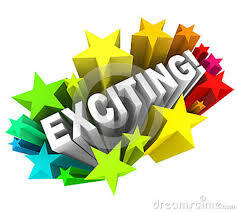 Unit was sold by our Columbia County Salesman Rodney Pulver. We would like to announce and thank Chief Sherman and the Members of the West Ghent Volunteer Fire Co. (NY) for the purchase of a new Toyne/Spartan Custom Pumper. 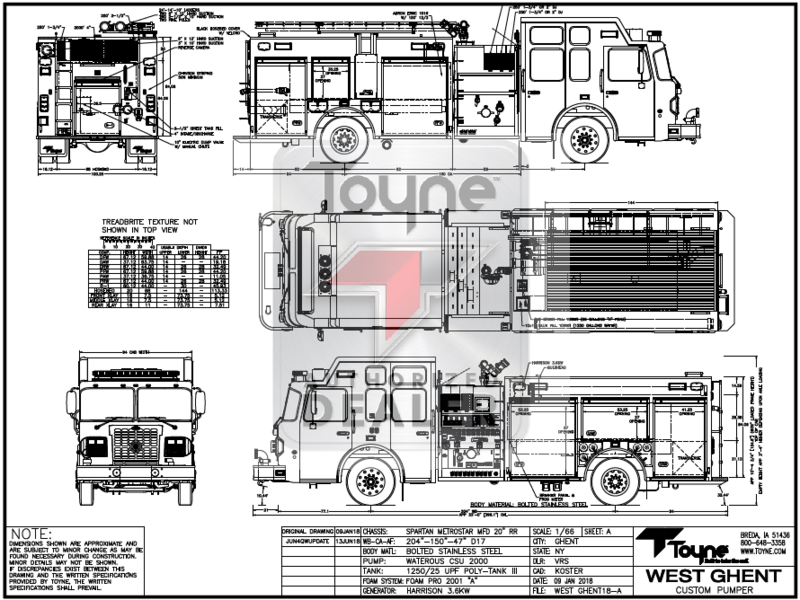 The unit will be equipped with a Spartan MetroStar MFD chassis with a 20" Raised Roof, a Waterous CSU 2000 GPM pump, 1250 Gallon UPF tank, and a Toyne Stainless Steel Body. The unit was sold by our Salesman Rodney Pulver with an expected delivery late June 2019.